Canon Power gave the two alternative translations, so he was clearly unaware of any story which would resolve the mystery. 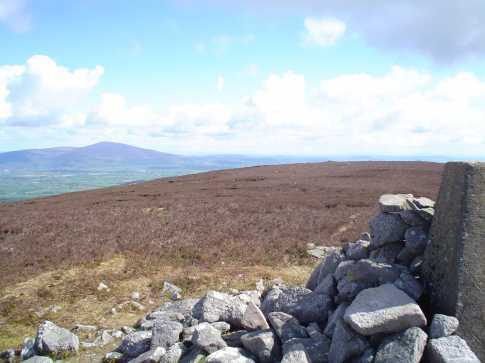 There is a small cairn at the summit, which could be the remains of the monument in question. Laghtnafrankee is the 505th highest place in Ireland. Park on the the roadside around S251 187 A, just before a cattle grid.There is lots of room to do so. Head west towards the mountain first on a muddy farm track and then up a small rise and across gently sloped, heather-covered, featureless ground to the summit. 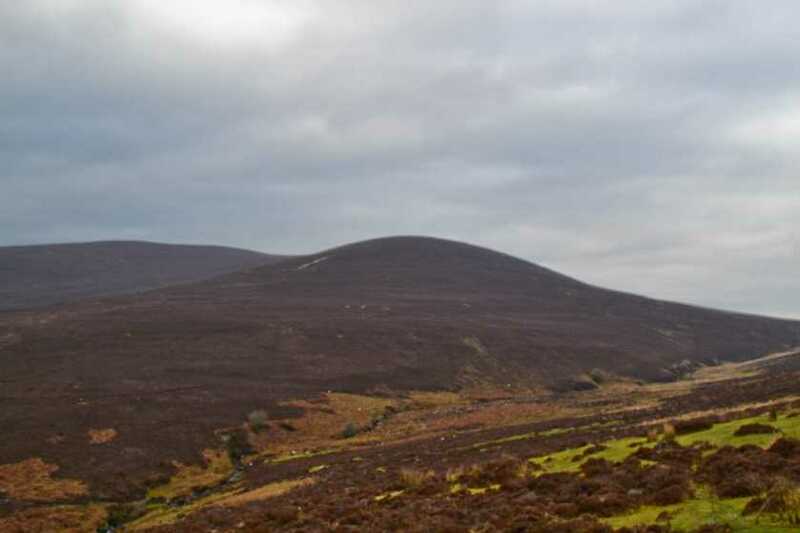 I set out for the Comeraghs yesterday with the intention of starting my walk at the Gap carpark outside Bally macarbry. Unfortunately for the first time ever I encountered an access problem. 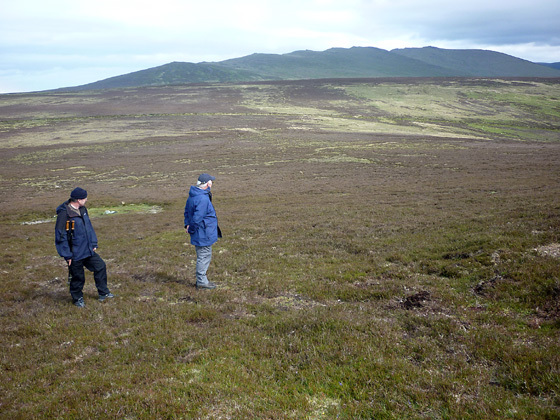 Picture from Harry Goodman : Looking SE to the Knockanaffrin Ridge from Laghtnafrankee. Picture: Looking SE to the Knockanaffrin Ridge from Laghtnafrankee. 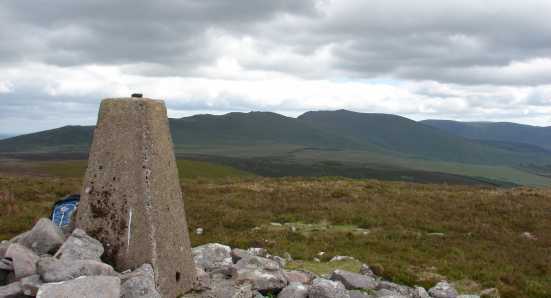 This view from the summit looking SE shows from the left and on the skyline, the Knockanaffrin ridge, in front of the bulk of the Comeragh plateau, which continues on the skyline to the right.